All you need is a few simple ingredients for Easy Caramel Apples topped with chopped nuts, sprinkles, chocolate drizzle and more. 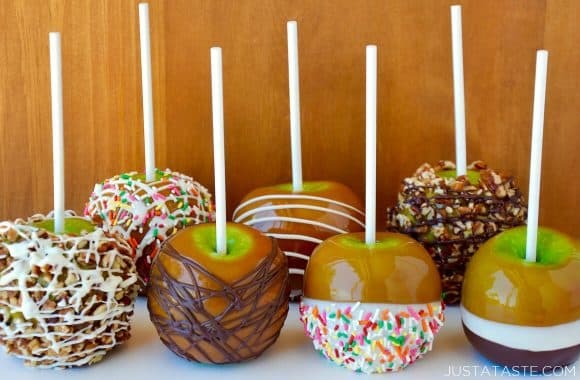 Nothing says “Hello, fall!” quite like a caramel apple. Refreshing fruit + sticky caramel + endless toppings = a guaranteed dessert win in my book. 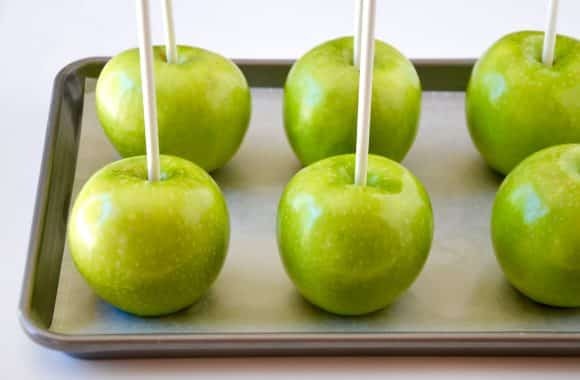 And now it’s faster than ever to whip up a DIY version of these sweets on-a-stick with this recipe for Easy Caramel Apples. 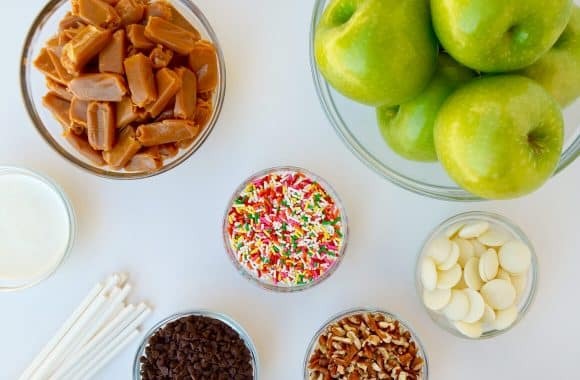 The setup on this one couldn’t be simpler: Melt down store-bought caramels with a splash of heavy cream then dunk your apple-of-choice and coat it with a range of toppings, from chopped nuts and dried fruit to sprinkles and chocolate drizzle. Wet = Mess: It’s important that the apples are washed and then thoroughly dried prior to plunging them into the hot caramel. Any trace of moisture on the apples will cause the caramel to slip and slide right off. Tiny Toppings: The smaller, more finely chopped your toppings, the better shot you have at them staying in place as the caramel cools. Cool Avoids a Pool: … of caramel, that is! 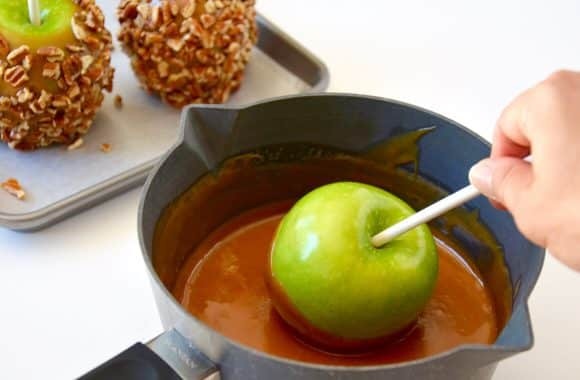 If you’re opting for a second layer of deliciousness in the form of melted chocolate, always allow the first layer of caramel to cool completely before plunging your apple into a hot bath of chocolate. 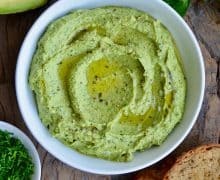 Ready to get your dunk on? 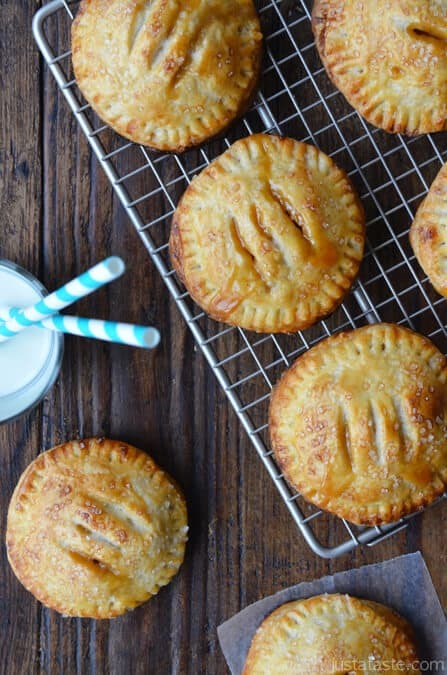 Grab your favorite apples and read on for this quick, easy and totally customizable recipe! Find more inspiration for fruit-filled favorites with additional apple recipes. 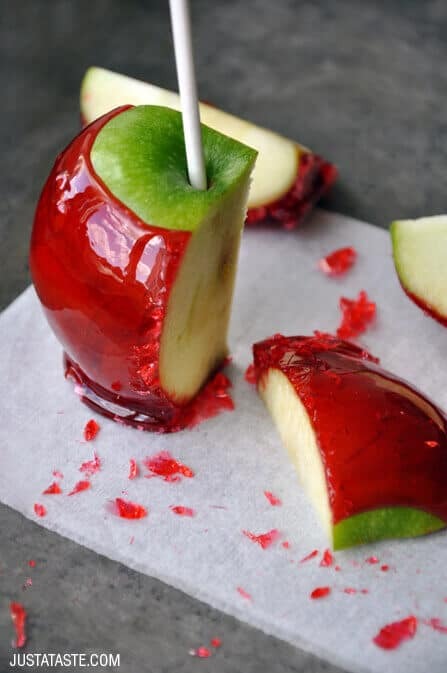 Wash and thoroughly dry the apples then press a lollipop stick firmly into the top of each apple. Line a baking sheet with wax paper. Unwrap the caramels then place them in a medium saucepan set over medium-low heat. Add the heavy cream and cook the caramels, stirring occasionally, until they melt and the mixture is a smooth consistency. Reduce the heat to low. Dip each of the apples into the caramel mixture, shaking off any excess and scraping any caramel off the bottoms of the apples. 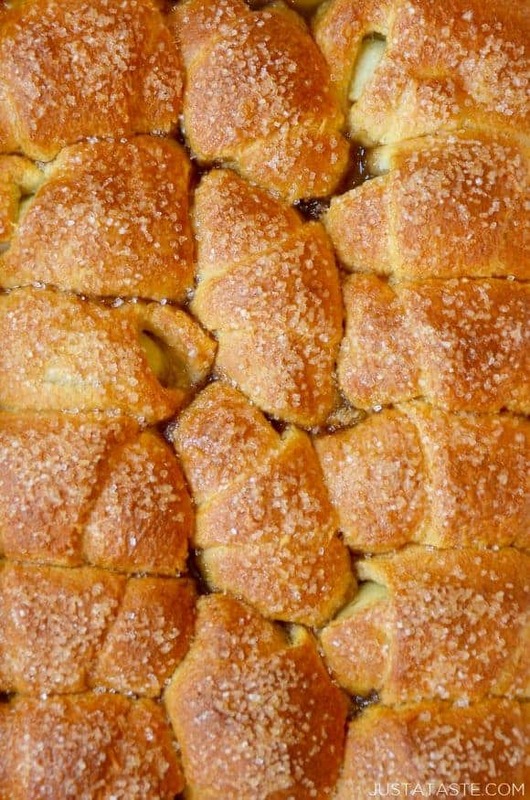 Roll the apples in your preferred toppings then place them on the lined baking sheet. 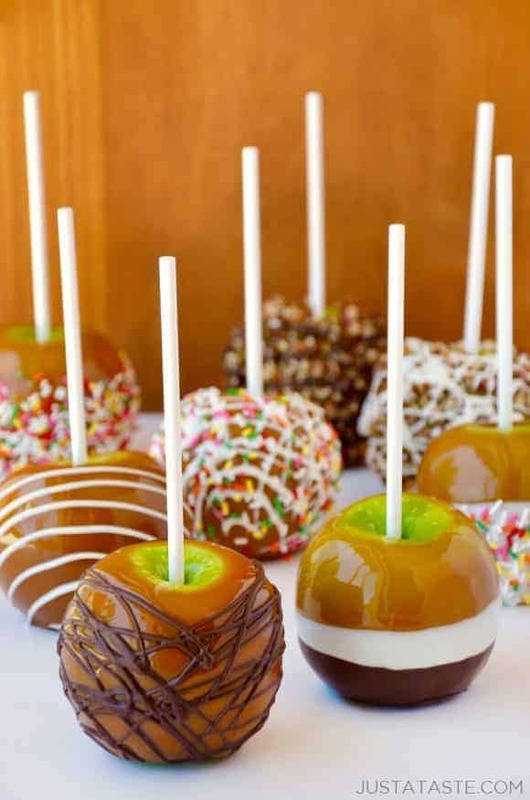 Refrigerate the apples for 15 minutes or until the caramel has firmed up. Serve the apples immediately or store them in the fridge until ready to serve. Any store-bought soft caramels will work in this recipe, however my preferred brand is Werther's Original Soft Caramels.